Numerology Predection is the easiest of the occult arts and is easy to understand and use. All that is needed is the birth date and the complete name of an individual to unlock all of the secrets that the numbers hold and then the future course of the individual can be derived from it. There are eleven numbers used in constructing Numerology charts. These numbers are 1, 2, 3, 4, 5, 6, 7, 8, 9, 11, and 22. Larger numbers that occur from adding the numbers in the complete birth date or from the values assigned to each name, are reduced by adding the digits together until the sum achieved is one of the core numbers. Merely add the components of the larger number together (repeatedly, if necessary) until a single digit (or the “master” numbers 11 or 22) results. Each of these number represents different characteristics and expressions. Indianastropredicts, first we check your name, companies/firm name whether it is good or not, then we correct it as per numerology and to suit your birth date. 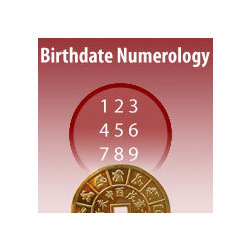 We provide the best solution of your problems through numerology calculation. Here you will find the accurate solution of your problems. We will tell you which number suits you according to your name & birth date.